Agriculture would benefit hugely from a common data ecosystem. This is the main argument of the GODAN discussion paper A Global Data Ecosystem for Agriculture and Food. 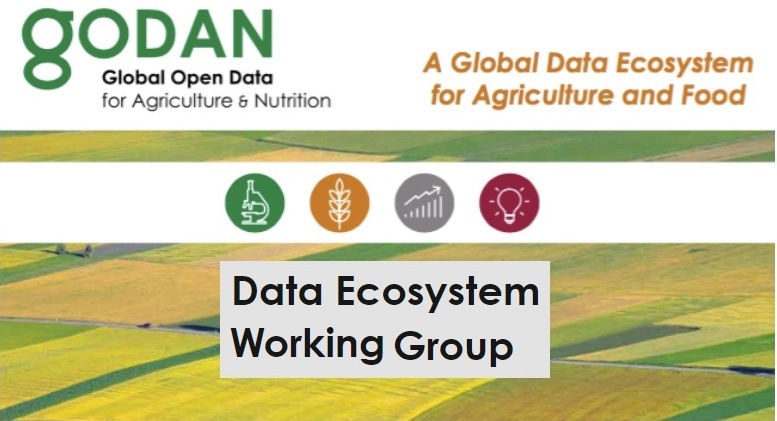 A newly set up GODAN Data Ecosystem Working Group (WG) will explore the daring vision of catalyzing the creation a global, common data ecosystem for agriculture and food. How can we catalyze the creation a global, common data ecosystem for agriculture and food? How can we put in place a fabric of interoperable and interplaying infrastructures? How can we make data sharing and exchange as natural to us as it is to use the road or rail infrastructure to move from one country to another? These are the questions that the newly set up GODAN Data Ecosystem WG - coordinated by Odile Hologne from the French National Institute for Agricultural Research (INRA), Graham Mullier from Syngenta, and Nikos Manouselis from Agroknow - will try to explore. "Our desire and intention is to see if we may adopt common thinking and principles. We want to work together in order to review the initial recommendations that the GODAN discussion paper makes and see how they may be contextualized, prioritized and implemented in our specific environments and applications",- says Graham. GODAN wishes and expects that this discussion will be broad and inclusive, involving all relevant strategic stakeholders and forums around the world.